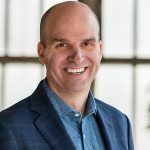 Walker owns the product strategy and roadmap at Flexera, a leader in the IoT market that’s reimagining the way software is bought, sold, managed and secured. Prior to the acquisition by Flexera, he was President of BDNA Corporation for 4 years, and he was the Chief Technology Officer at BDNA for 5 years prior to that. Before founding BDNA, he was Chief Technologist at a $3B division of Oracle. His expertise encompasses all aspects of technology strategy, building relationships with large-scale customers, and evolving company culture. Walker has a BS in Computer Engineering from University of California, San Diego.